Since he started creating albums and songs based upon stories of fans way back when he created The Story of Your Life in 2010, Matthew West has started to create songs that have been some of the most mature, honest, real and powerful songs I’ve heard this turn of the decade. One of my favourite male artists currently; and with poignant singles like “My Own Little World”, “Something to Say”, “Do Something”, “More” and “Hello My Name Is”, it has been Matthew’s innate ability to take a story given to him by a fan, and to create a song of hope, meaning, hurt, loss, tragedy and ultimately healing that makes his song writing skills worth noting. Letting his fans be the inspiration again behind his new album Live Forever releasing at the end of April 2015, Matthew’s 2 and a half year wait is certainly worth every month. 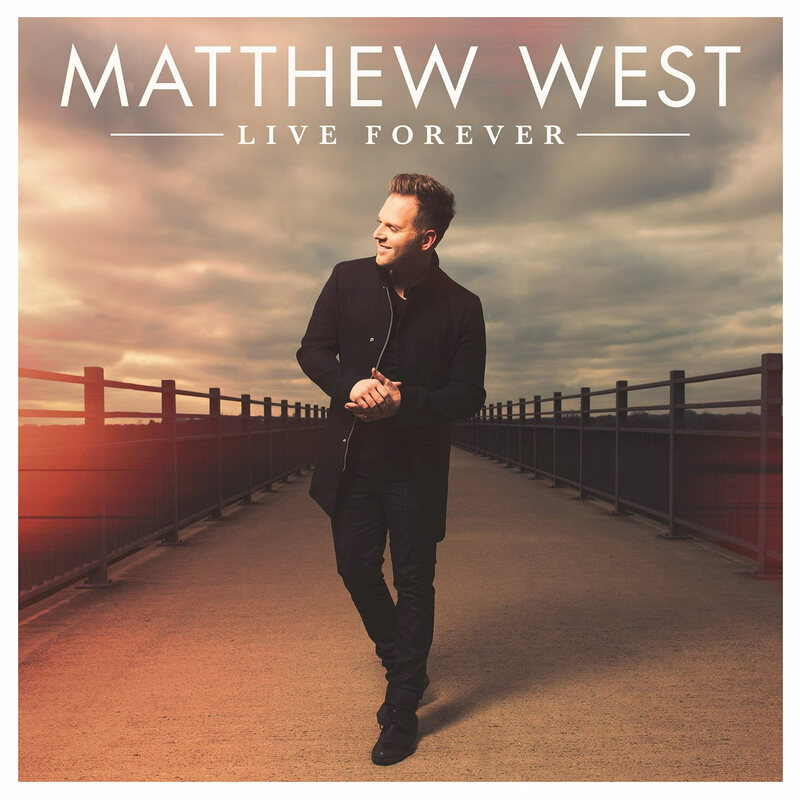 With each song delving on real stories of hope, pain, heartache, and the all-encompassing promise by God that every day is a new chance for renewal; this is an album you don’t want to miss if you have been a fan of Matthew and his music throughout his “fans write his album” journey. From the powerful first single “Day One” to the title track that reminds us not to live for now but to focus on the eternal, it is when we realise that earthly accomplishments don’t necessarily add anything spiritually to our lives that we can declare that ‘…I don’t want to live for now…I want to live forever…’ (“Live Forever”). Releasing his first single “Day One” in January of 2015, Matthew has reminded us all from the first acoustic guitar strum to the last gang vocal on this first track that we as Christians and even as human beings need to consciously start each day with a choice- to start over and have a clean slate or to wallow in yesterday’s mistakes and worry about tomorrows potential calamities. Shown to us in both is original recorded state as well as an acoustic version, we see a melody that reminds us all to think about our own choices. Sure, yesterday’s choices will affect tomorrow’s outcomes, but that shouldn’t spoil the moment which is today. With a catchy beat, and a simplistic yet powerful theme of living each day without the stress gives me a certain freedom; “Day One” shows us a love unconditional. Whatever we have done prior doesn’t affect the love poured out and acceptance freely given by both our heavenly and earthly family. Maybe your 2014 was good. Maybe it was bad. Maybe it was one of the most memorable or even forgettable. But this song is a testament and timely reminder that ‘…wherever my yesterday may find me, well, I don’t have to stay there…’ Each day is another chance to believe and step into the promise that every morning, God’s mercies are new. Whether we have no regrets or have tons, what we all have is a second chance- tomorrow. Well done Matthew for this eye-opening song, one that I reckon will be a life-changing one to whomever hears it! With the first melody being the title track, and a catchy one at that (with Matthew singing out the amount of seconds each person has in a day as a precursor to a song that is just as powerful as “Day One”); we are reminded to live our days not just for the moment, but with eternity in sight. It is when we cast our minds and focus them not just on the now but for months, years, and even generations down the road that we can truly live selflessly knowing that everything we can amass in this life will be temporary. A pop melody at heart, its theme is poignant, as Matthew declares ‘…am I just a dash, between the numbers that fate will decide, is it true that nothing lasts, or is there a way to outlive my life?…’ and hopefully allows us to think about our own lives in relation to now and the future. With whistles, drum loops and a heart for reminding us about eternity, Matthew moves on to other heartfelt issues, from creating a list of all the wrongs done by us and against us, and love’s role in abolishing it through Christ on the cross (“The List”), to the electric guitar country inspired “Tryin’”, a personal track about trying very hard to fit into the mould of the world, when really we’re called by God to stand out and be different. “World Changers”, with a similar theme to the Audio Adrenaline song of the same name; starts with a gang vocal a la Queen (in “We Are the Champions”) as Matthew encourages us all to change the world (or the world we know) as we impart what makes us special to those we meet and are in fellowship and relationship with, while Matthew continues the theme of changing the world with piano prominent deluxe edition track “Untold”, a song told from the perspective of a story untold, a choice yet to be made as we are reminded that sometimes even world changers can face difficulties and make decisions that can make the untold stories become realities. Strings bring the hauntingly refreshing and unique “Mended” to life as instruments and an anthemic sound gives life to a song that contrasts what we see in the physical to what Christ sees, and how if we see ‘…broken beyond repair, I see healing beyond belief, when you see too far gone, I see one step away from home…’ While “Mended” may not necessarily make it to radio, this melody is by far one of my favourites on Live Forever, and a song that is a personal standout of mine. “Anything is Possible” is a melody direct from the words of a fan story as this three minute melody delivers both spoken word and powerful singing to provide one of the most musically unique song Matthew has ever done, while also reminding us that ‘…love can fix a busted heart like mine, put it back together every single time, turn my mess to a miracle…’, “Born For This” slows down the tempo and adds in electronic sounds and Matthew delivers one of his most passionate vocal performances of the album- and a theme of being born for the moment in front of us as we seize it with all we’ve got rather than wishing about things down the road. “O Me of Little Faith” tends to the doubts and fears of every believer as Matthew brings to us allusions to biblical figures like Gideon, Peter and even David who had doubts, while also reminding us that we indeed need to trust God with our own problems, failures, triumphs and accomplishments. Matthew brings the standard album to a close with “Heaven is the Hope”, a tale describing heaven as a place for us to look forward to with everything made right and perfect, while the deluxe edition has “Day One (Acoustic)”, “Untold” and “Homecoming”, a personal song that I’m sure will hit hard to many with teenage children, who may be leaving for college or travelling through other life transitions. “Grace Wins”, though the most cliché titled song on the album, is one of the songs that is the most powerful personally as I reckon the theme of this melody spans not only the song but the album as well- that deep within us there’s a war between grace and guilt, and that each is fighting for a space in our hearts. Letting grace win each time is a conscious choice, only one that Christ can accomplish for us- which is exactly what Matthew has done with this album as Live Forever becomes an encouragement for us to choose grace and be reminded that ‘…for the prodigal son, grace wins, for the woman at the well, grace wins, for the blind man and the beggar, grace wins, for always and forever, grace wins…’ Released in a year full of high profile albums from artists like Fireflight, Audio Adrenaline, Lauren Daigle, NF, Third Day and Jonathan Thulin (to name a few); Matthew’s collection of 14 tracks stand tall amidst the rest of 2015’s best; as we see a continued maturity as Matthew continues to be a songwriter, singer, encourager and a teller of stories. Live Forever is no different. An album that will continue to be on my iTunes playlist for months to come, well done Matthew for such a well-rounded musical performance; and one that’s a certain standout of 2015 so far!